Mercurial, quick-minded, with a sense of feeling that is quicker than logic, this bottle relates to Gemini – movement, communication and versatility. Begin to be the magician and be aware that the old pattern of being the trickster no longer serves you. All has to be upfront and clear in your dealings. The number five is about dealing with issues of discipline and freedom. 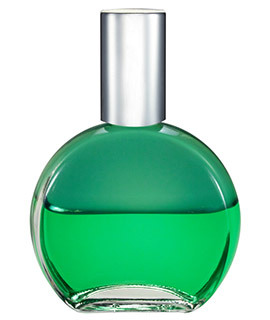 This colour signifies change and new beginnings and this bottle is about letting go of all the masks. Everything that you have used to hide behind has to be removed. The truth about your magnificence has to be told clearly and if any part of you still wants to hide, it will make life quite difficult. The answer to the dilemma that this colour presents is to be constantly aware of what makes you feel small and to change that. This is your time: you can only be free by being honest with yourself.